In China, subtlety is all. This hotel achieves it skilfully, by balancing West and East. 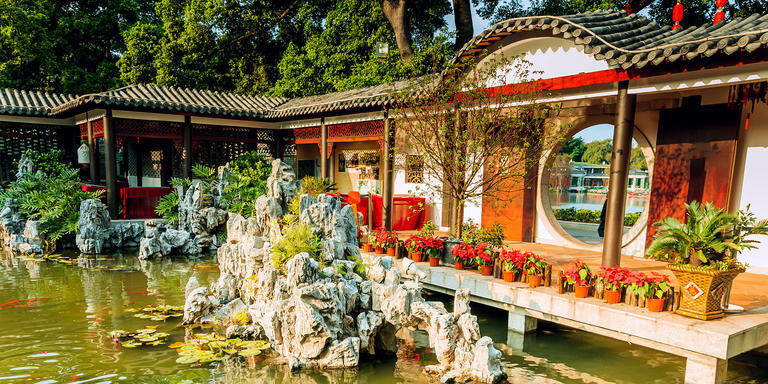 Guangzhou has always been at the confluence of cultures and, in this hotel, East meets West on each of its 40 floors, in its club lounge and reception areas, and, of course, in its rooms. The mix of French-inspired furniture, Art Deco, and Asian art is pure magic, a cultivated luxury with no false notes.